Leverkusen - With just over a week to go until the Bundesliga gets back underway, Matchday 18's trip south to SC Freiburg can hardly come soon enough for players and management alike at Bayer 04 Leverkusen. Back from their winter training camp in Lagos on the Portuguese Algarve, the Werkself now have a “fairly normal week's match preparations” ahead of them, according to coach Sami Hyypiä. The former Finland international was very satisfied with the seven-day sojourn on the Iberian peninsula, where “we covered the main matters and got through it more-or-less injury-free". All-in-all, he surmised, “it's looking pretty good at the moment". The same could well be said of Bayer's campaign as a whole to date, the first under Hyypiä's sole charge. They remain FC Bayern's closest pursuers on the home front and are still in with a shout in the DFB Cup, and also have the enticing prospect of a UEFA Champions League last 16 meeting with Paris Saint-Germain FC to look forward to. Sporting director Rudi Völler has accordingly stressed that the players will have to be “optimally prepared for a busy schedule in February and March", also pointing out that Borussia Mönchengladbach and VfL Wolfsburg - two of the sides right behind them in the standings - will have the advantage of planning an assault on the league with fewer midweek commitments. Völler is nonetheless confident that the team can “start into the second half of the season with the same passion and panache as we did the first". After ending the year on the flat note of successive single-goal defeats, “the batteries are recharged” and the players are “raring to go, and to affirm their good early-season form". Hyypiä, too, believes that the two-week festive break prior to the training restart was “maybe more important mentally than physically". 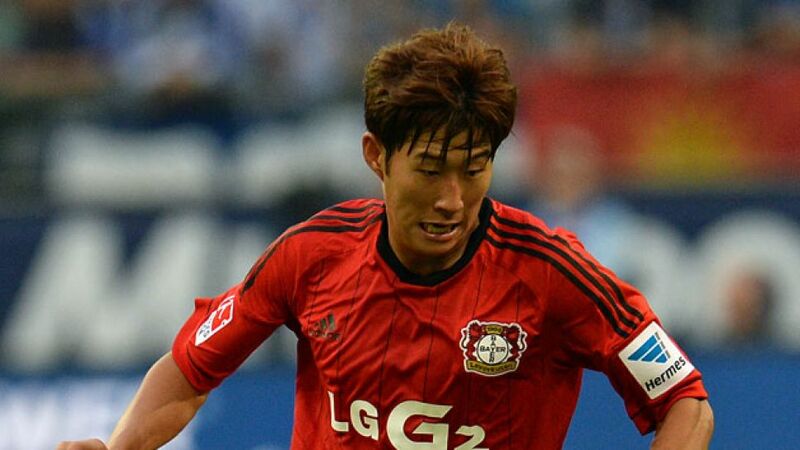 One Bayer star whose form curve improved as the campaign progressed was Heung Min Son. The summer arrival from Hamburger SV is on seven goals for the season, six of them netted on or after Matchday 12 - starting with a hat-trick against his erstwhile employers. “Seven's not too bad so far and obviously I'm aiming to score a few more. But the most important thing is for the team to get off to a good start again and make sure we're there from the word go in our first game at Freiburg,” the 20-year-old South Korean shooting star told BAYER 04-TV, as training recommenced on home turf this week. A particular area of focus over the coming days, he said, will be on tactical exercises addressing the penetration of a deep-lying defence, something “we had problems with in our last two games.” One player who could conceivably help out in that regard is Son's compatriot Seung Woo Ryu, signed recently from Jeju United on a year-long loan. Freshly turned 20 himself, Ryu wasted no time demonstrating his eye for goal, netting on his debut in the 2-2 training camp draw with SC Heerenveen.